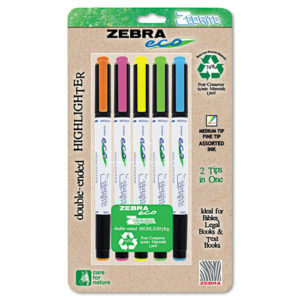 At AMO, we’ve committed ourselves to limiting our impact on the environment with eco office products. According to Recycle Across America, recycling is the top action that society can do to improve the environment, the economy, sustainable manufacturing and to prevent waste from going into oceans. 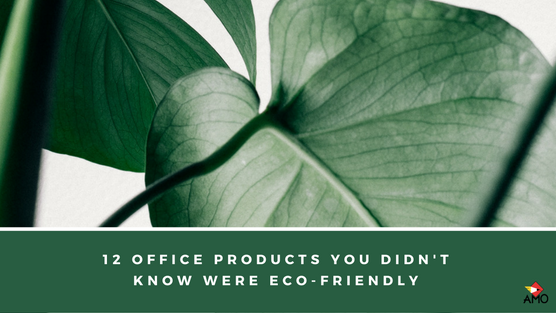 Since offices require everything from staplers to coffee cups to soap dispensers, we’ve rounded up twelve eco-friendly office products that can replace what you’re using now! 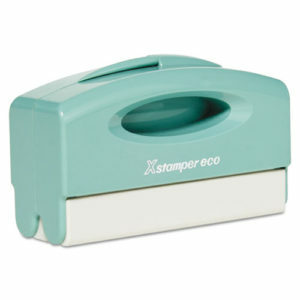 Convenient pocket stamp has a handle that folds up into a carrying case so it’s perfect for stamping on the go! Laser engraved die ensures a precise impression every time. 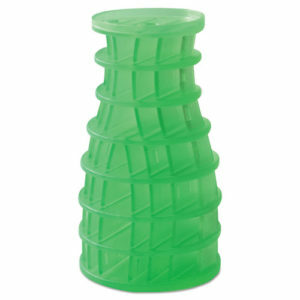 Durable ABS plastic construction. Loaded with enough ink for 50,000 impressions; clean and easy re-inking. Ink colors: black, blue, green, red and violet. 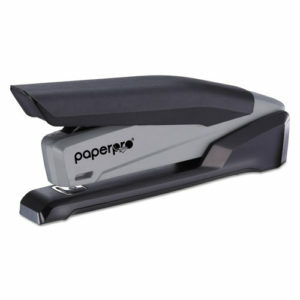 80% easier stapling from a stapler made almost entirely of post-consumer recycled materials. With One-Finger™ technology, stapling is 80% easier — just the push of a finger staples up to 20 sheets. Designed to be lightweight for comfortable, frequent handheld use. Conveniently built-in staple remover and staple-storage compartment in base (the latter of which stores two extra strips). Smooth, jam-free operation. Opens for bulletin board tacking. Uses standard staples. Energizer’s highest performing, most responsible alkaline batteries (versus other alkaline batteries that contain no recycled batteries). Require less mining of virgin material and reduces the amount of batteries consumers need to power their devices, resulting in less waste. 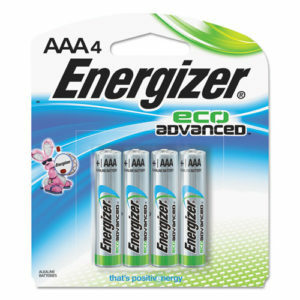 Energizer’s longest-lasting alkaline battery and is made with recycled batteries. Contains 4% by total weight, which is nearly 10% of a key active ingredient. Unique fragrances are designed for month-long performance. Outperforms gels, wicks and aerosols. Easy to use. Cannot spill or break. 100% recyclable. Convenient and versatile. Multiple tips (chisel, fine point) allow for easy highlighting and underlining. Durable plastic pocket clip permits easy storage. Made from post-consumer waste. Durable, attractive push-type dispensers are a sleek and convenient option for any gym or spa. Unique non-corrosive key and locking mechanism helps prevent tampering and vandalism. Large reservoir holds enough for at least 15 showers, minimizing the need for refills. 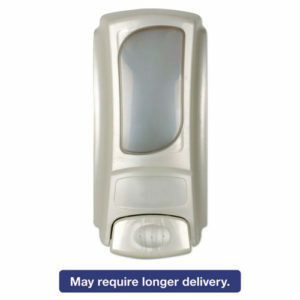 Convenient dispensers ensure that no product is wasted and provide easy, uninterrupted service to patrons. Designed to work with Dial® Eco-Smart® amenity refills (sold separately). Install one, two or three dispensers according to your needs – these dispensers interlock to create an attractive, uniform look. Unseen and secure design locks onto toilet. Gradually releases air freshener for 30 days. Unique patent pending material contains more air freshener than standard rimsticks. Will not dissolve in or pollute water. Designed for desktop use with computers, peripherals and telecom equipment. 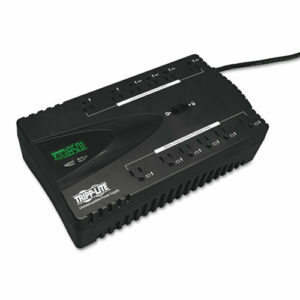 Provides standby UPS battery back-up protection against power failures. Built-in surge protection against voltage fluctuation and transient surges. Innovative eco outlets automatically power off peripherals when computer is turned off or when in sleep mode. Energy-efficient design has a 99% full load efficiency rating and cool operating temperature. 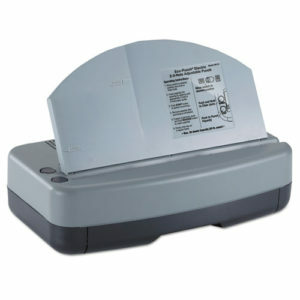 Electric punch with built-in paper guide makes punching as easy as pushing a button. Adjustable 2-3 hole punch allows you to adapt the number of holes for the project at hand. High-capacity removable chip tray prevents paper jams. Includes a reverse function to help clear jams when they occur. Built-in paper guide makes it easy to punch the hole exactly where you want it. Antimicrobial protection applied to buttons and drawer helps prevent the spread of germs. AC adapter included. Display your business cards in style. Rich espresso brown finish highlights the grain of natural bamboo. 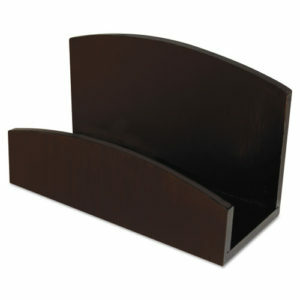 Attractive curved design fits any office decor from traditional to ultra modern. 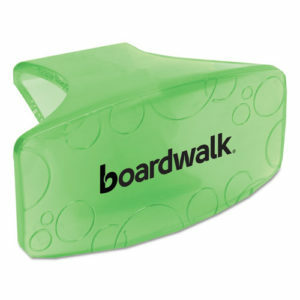 Can hold up to a 1 ½” stack of business cards. 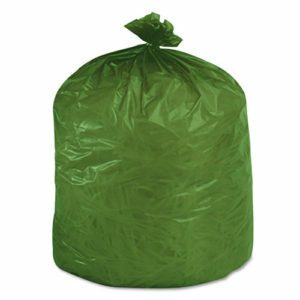 Made from 100% recycled content and 85% post-consumer recycled fiber. 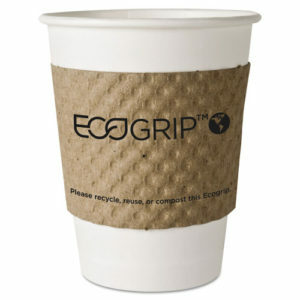 Recyclable with other paper products and commercially compostable. Printing on sleeves helps to demonstrate green commitment. Need help transitioning your office into an eco-friendly space? AMO carries a wide variety of office products; everything from coffee & creamer to janitorial & cleaning supplies. Our deliveries are made next day and are completely free. Sign up for an account with us and start shopping now! Hi! This post could not be written any better! Reading this post reminds me of my previous room mate!